No matter what you do in Snowblind, eventually, the cold climate will get the better of you. Unless its sword-wielding skeletons and/or spell-slinging cultists drain your health first, that is. 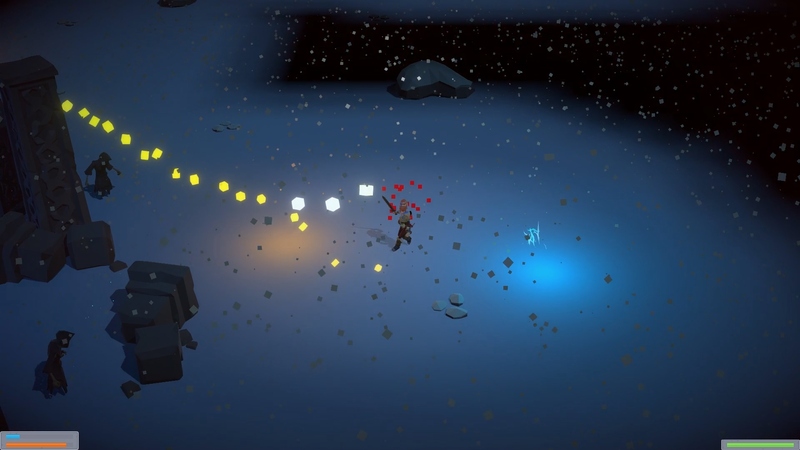 Doesn’t mean you should simply stand still, awaiting your inevitable demise, however… even if taking a number of enemies with you to the great beyond is really all you can do, in this procedurally generated survival tale. At least controlling the poor nameless would-be survivor is easy enough, left-clicking swings his sword while right-clicking flings a fireball, both in the currently facing direction (camera, unsurprisingly, controlled by flailing the mouse about). It’s a simple enough setup, and while the game does seemingly hint at more, combat is pretty much all there is in this prototype. A prototype which, as it turns out, its creator has “no concrete plans to continue development of”. Darn shame if you ask me, seeing how the foundation for a genuinely interesting experience has certainly been laid, kicking you-know-what working really well already, campfires needing to be actively sought out and visited to avoid freezing to death, and there’s even a leveling system in place: once you’ve acquired enough XP from laying waste to whichever foe happens to cross your path, the option to increase either your vitality, attack strength or, you know, that lovely little fireball (aka. your only ranged offense). That said, DumaPuma did also mention in the release post that “If there is enough feedback and interest, I may continue development and add features.” So who knows, maybe the article you’re currently reading can help spark an interest in furthering project Snowblind? Fingers crossed. Snowblind is available on itch.io, for free.